OVERVIEW The KIP 2300 high productivity scanner sets a uniquely high standard for speed; quality and flexibility in a digital image capture system. 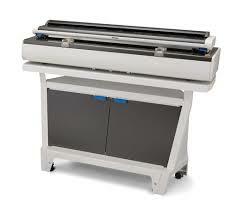 The 2300 is a high speed scan solution that provides world-class workflow flexibility. Best in class productivity is achieved by a combination of advanced camera based image capture and New KIP Tru•Speed Technology for high speed data throughput with no pauses or delays. Outstanding image quality is delivered through the innovative use of bright white LED light sources for illumination and 600 x 600 dpi image capture resolution. The KIP 2300 monochrome & color scanner provides high demand users with the highest standards of image quality, versatility and productivity. The KIP 2300 scanners unique product design allows users to capture, archive, print and share monochrome and full color images at high speeds with either face up or face down document feeding for maximum productivity. Don't buy KIP 2300 without contacting Napco. Call us today at 1-866-752-6766.